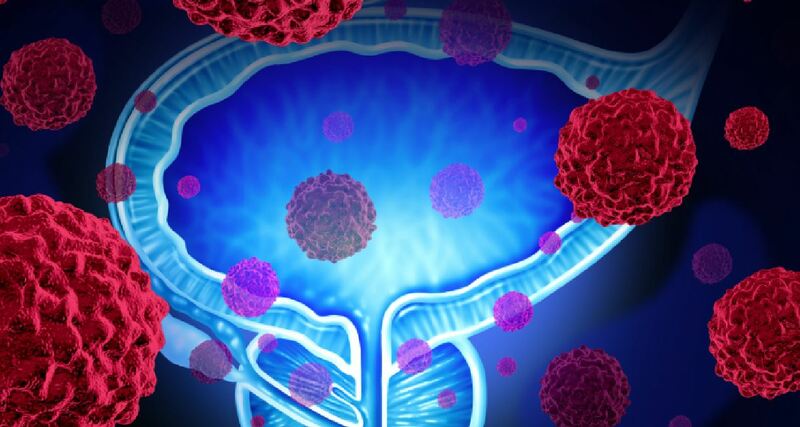 Queen’s has led the world’s largest research study using a diagnostic test developed by Almac Diagnostics, to better understand the biology of prostate cancer tumours, which could lead to a transformation in how prostate cancer is diagnosed and treated. Whether a prostate cancer patient has a slow-growing or aggressive tumour will affect the type of treatment required. It is only through understanding the type and genetics of the particular cancer tumour that clinicians will be able to put an effective treatment plan in place. Lead researcher, Dr Suneil Jain from the Centre for Cancer Research & Cell Biology at Queen’s explains: “Current diagnosis of prostate cancer involves biopsies, scans and blood tests to determine how aggressive the cancer is and subsequently to develop an appropriate treatment plan. Researchers at Queen’s led the world’s largest study of this kind, using Metastatic Assay on prostate biopsies from 248 patients who had previously been treated for prostate cancer. The research findings, published in Annals of Oncology, found the diagnostic test to be more effective than the standard clinical tests. Treatment options available to prostate cancer patients include radiotherapy, chemotherapy, brachytherapy and hormone therapy. Although radiotherapy is often used to effectively treat patients with prostate cancer, 20- 30% of patients can relapse within five years. Dr Iain Frame, Director of Research at Prostate Cancer UK said: “This research could provide clinicians with the answers they need to identify which cancers are likely to spread and give men peace of mind that the decision they make regarding their treatment is the right one. Media enquiries to Suzanne Lagan or telephone +44 (0)28 9097 5292.